Friends, I LOVE a good book with sporty things going on. I especially love it when the sport is something random that I don’t encounter often in the books I read. This pretty much eliminates running of any kind, competitive or otherwise. But that doesn’t mean there aren’t lots of great books that highlight some off-the-beaten-path athletes. To the list! The Survival Kit by Donna Freitas. THE SURVIVAL KIT is a really thoughtful book about a young girl who is coping with the recent death from cancer of her mother. You all should read about Rose and her grieving. It’s sad but not dark. Of course, part of Rose’s story is about the guy who takes care of her family’s lawn. His name is Will, and he plays hockey, and he is delicious and sweet and a little edgy. Also, HOCKEY. I love hockey. And hockey players. Sean Griswold’s Head by Lindsay Leavitt. AHH, this book! SEAN GRISWOLD’S HEAD will surprise you when you read it. 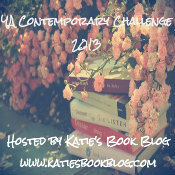 Because it sounds like it’s going to be about a cute little romance, but it’s really about so much more. Payton, the main character, is dealing with a pretty upsetting thing in her family life, and Sean Griswold turns out to be just the thing she needs to help her deal. Plus, see that bike there on the bottom corner of the cover? That’s the sport, friends. BIKING. I mean…how many times have you read about BICYCLING in a YA book? Sean and Payton bike together, although it’s Sean who introduces her to it. Forget You by Jennifer Echols. Ah, Jennifer. It’s been some time since I last mentioned on of your books around these parts, and to be honest, I’m feeling like I need to reread some of your greatest hits. It’s been awhile since I read FORGET YOU–a story about a girl named Zoey who’s dealing with some family drama–and Doug, the guy who saves her from a nasty car accident at the beginning of the book. As with all Echols books, there’s TONS of off-the-charts drama and some pretty hot sexytimes. But we’re talking about sports here. Doug and Zoey are both on the swim team. Holla for alternative formats! Got some REALLY great books in electronic and audio format this week, friends. And yes, that means NetGalley. *looks shameful* But it’s a really cute one! 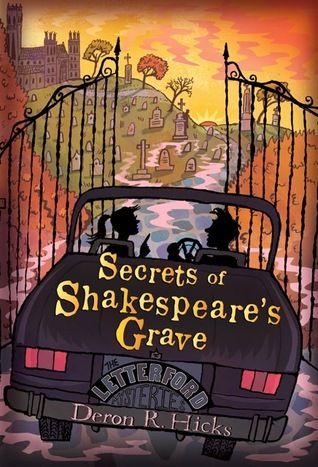 Secrets of Shakespeare’s Grave by Deron R. Hicks (September 4, 2012 from Houghton Mifflin Books for Children). Umm, seriously? How could I resist a book about a young girl with family secrets involving LITERATURE, along with basically a travel-through-time-and-the-world bookish middle grade adventure. Angelfall: Penryn and the End of Days #1 by Susan Ee. So, ANGELS. I am for sure waaaaaay behind on angel books and while I have enjoyed the ones I’ve read, I’m not sure that I’ll get around to reading a whole ton of them. That being said, this book–ANGELFALL–sounds pretty legit. It’s basically the story of the post-apocalypse world, except the REAL BIBLICAL one, not some man-made disaster like wars or disease. The main character teams up with a fallen angel to rescue a missing family member and the DRAMZ ensues. I can’t believe I’ve missed this one for so long. It sounds fantastic. 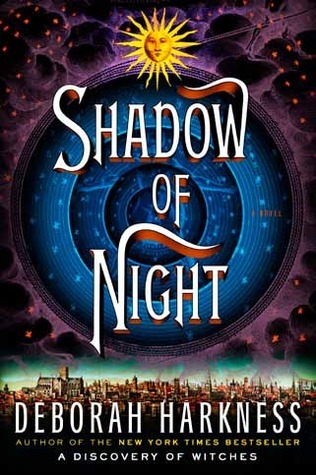 Shadow of Night: All Souls Trilogy #2 by Deborah Harkness. 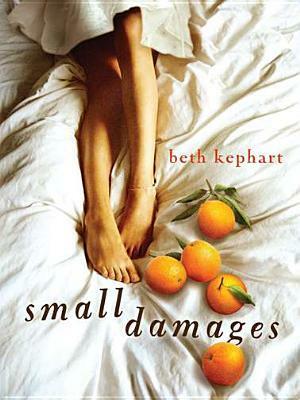 Guys, I am loving Audible lately. I used one of my credits to buy the audiobook for the sequel to A DISCOVERY OF WITCHES, which was actually pretty great. A little adult paranormal does the body good, friends. I’ve never listened to a book from Penguin Audiobooks before, but the little sample of narrator Jennifer Ikeda sounds awesome. I’m really looking forward to seeing (hearing!) what happens to Matthew and Diana. I’m so excited for the books I got this week! Hope you guys love what you got in your mailboxes, too! Summary: It’s senior year, and while Kenzie should be looking forward to prom and starting college in the fall, she is mourning the loss of her father. She finds solace in the one person she trusts, her boyfriend, and she soon finds herself pregnant. Kenzie’s boyfriend and mother do not understand her determination to keep the baby. She is sent to southern Spain for the summer, where she will live out her pregnancy as a cook’s assistant on a bull ranch, and her baby will be adopted by a Spanish couple.